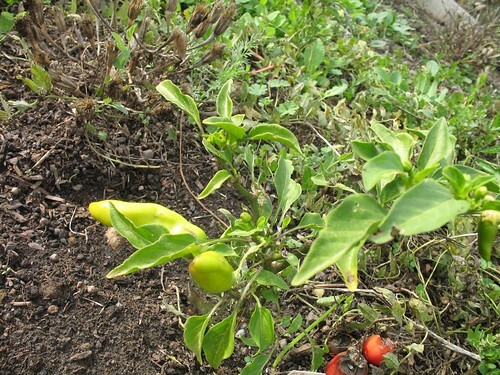 A pepper that is usually picked when it’s yellow and moderately hot. 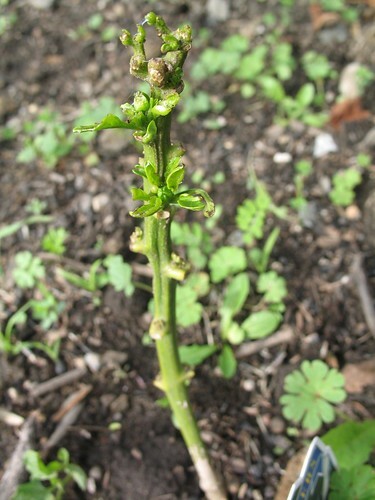 However, if left on the plant it will continue to ripen, getting red and accumulating more Scoville units. Not all of the hot peppers would do well in my foggy climate but this one is a good producer and hangs tough. I was raised in Souther California with a dad who LOVES hot peppers so I’m not entirely wimpy with peppers. This one can get plenty hot. This planting is in the Berkeley Microclimate Successes garden . If sowing directly, aim to sow 0.2 inches (0.5 cm) deep and try to ensure a gap of at least 1.95 inches (5.0 cm). Chili pepper 'Hungarian Yellow Wax' is known for growing to a height of approximately 45.72 cm (1.49 feet) so ensure you have enough space in your garden for this plant. Your garden has don't know light - Chili pepper 'Hungarian Yellow Wax' should be planted in a location that enjoys full sun. 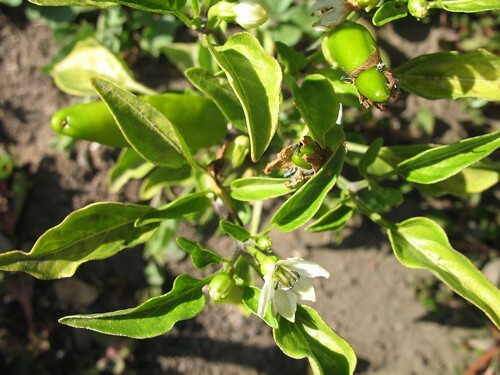 Your garden has clay soil: Chili pepper 'Hungarian Yellow Wax' should be planted ideally in loam soil. Chili pepper 'Hungarian Yellow Wax' ideally needs a soil ph of 7.0 to 8.5 (neutral to alkaline soil), so check your soil acidity regularily. 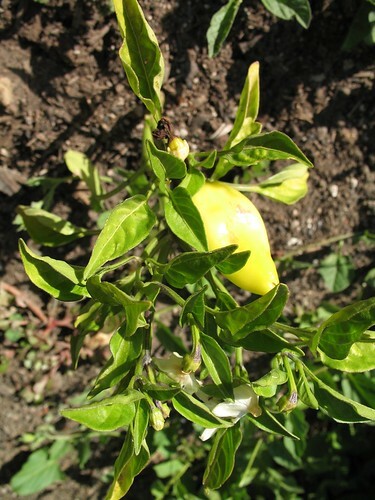 More information about Chili Pepper 'Hungarian Yellow Wax' is available in the Folia gardener's wiki. All Chili Pepper 'Hungarian Yellow Wax' Care Instructions have been kindly provided by our members.